The answer is both yes and no. I always wanted to pursue a few different career paths. A writer and a psychologist were my top choices. When I finished my undergrad degree in psychology, I realized I had to choose between going to grad school to complete my Ph.D. or finding a nice office job while I worked at night to become an author. I ended up choosing the latter, and it's worked out beautifully so far. This varies widely, from eight months to two years. I've always been working another job while writing books, so this slows me down sometimes. As I'm making the switch to fulltime writing, and as I become more experienced, I find I'm getting faster. Most of the time they seem to natural grow out of the narrative. 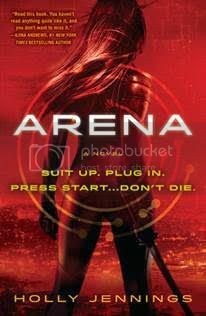 For example, in my debut novel ARENA, there are several occurrences of duality. The real world vs the virtual world, future vs past, chaos vs peace. I hadn't planned on creating a theme of duality, but once I noticed these subtle coincidences in the manuscript, I took hold and molded them into a theme. It feels more natural that way than to superimpose a theme into a story that might not fit otherwise. I have a haphazard schedule for writing. I find it to be something I can fit in between other things. Instead of doing 1000 word plus crunches, I like to do a few hundred, walk away, come back, do a few more, rinse and repeat. I tend to be most creative at night, so I try to balance my day and get housework and other things done earlier on. To-do lists go a long way for me. I usually won't let myself go to bed until everything is crossed off, even if that means I won't see my pillow until 3:30 AM. That's what works for me, though. Most writers I speak with tell me their ways of balancing their time and staying motivated, and no two are the same. Some wake up early and write while others are still sleeping. Some need to get out of the house to avoid distractions. Younger parents utilize nap times. It all depends on your schedule and lifestyle. The writer's passion for the subject goes a long way. When the author loves what they're writing, researching and work seem like fun. It shows on the page. Tension is another important element for me, and a great main character to carry the story through to the end. Letting it go. When your first novel is about to be published, it can be horrifying to think that some people are going to rip it to shreds in their reviews. It's going to happen, and the best thing you can do is embrace the people who love your work and dedicate yourself to creating more for them. I've written two so far with two more in the works and several additional ones plotted out. My favorite changes all the time, and it's usually the book I'm not currently writing. "The grass is always greener" comes into play here. I always want to be working on the book I'm not working on. If you mean a favorite character that I've created, then I have several. When your stories and characters are so close to your heart, it's hard to pick just one. The main character in the current series I'm writing, Kali Ling, is always in my top three, however. She's what happened when I took the "strong female character" archetype and broke her out of the mold. She has a temper she can't always control and a faith she doesn't always understand. She's quick with her fists, and even quicker with her tongue. She'll fight someone twice her size and grin the entire time. She's always fun to write. All over the place! When I'm not at home, my laptop is usually hanging at my hip whenever I go. Coffee shops, doctor's offices, anywhere I can squeeze in some minutes of writing time. To test if I had any skills as a writer, I challenged myself to get one short story published by a pro level market. Within the year, I'd accomplished just that and got hooked on publishing. Right then, I knew I'd want to publish a novel traditionally. The rejections sting, but the acceptance makes it all worth it. They've been really supportive, though it's a bit of a funny situation. The people in my family who like sci-fi don't really like to read, and the people who love to read don't like sci-fi. Still, they promote me wherever they go and I'm incredibly thankful for everything they do for me. Mostly, I play video games (though my books are about video games, so now I get to call it "research"). I also enjoy reading blogs, watching documentaries, and spending time with my family. Don’t quit. Writing is a marathon. Publishing is even more so. Before I was published, I saw this mantra all the time and never truly believed it. But it's true. It's true. It's true. IT'S TRUE. Just keep going. Just writing what you love and putting words on the page. You'll get there, eventually. I don't really like picking favorite books because they change all the time. Two books have really stuck in my mind lately even though I read them over a year ago: Ready Player One by Ernest Cline and Love Interest by Cale Dietrich. (I got to read an early copy of Love Interest before it hits the shelves this May. If you enjoy LGBT themes and spoofs on YA tropes, you should check it out). If I have to pick a favorite author, I'd say Damien Angelica Walters because I'll read anything she writes. Even poetry. It depends on the story. I've very lucky to have a wide range of writers and experts in my life. My writer friends and beta readers are everything from paramedics, army vets, musicians, geologists, pro gamers, and so on. Each area of expertise is invaluable, but not all are appropriate for every story. Plus, I don't like to bug the same people all the time. So, I try to mix it up depending on the story's subject matter. Currently, the first two books in my Arena series are done, so I'm working on outlining more books in that world. I'm also working on a brand new series set in a slow-burn environmental apocalypse that I think will appeal to the same group of readers. 3. "Down for scheduled maintenance." I really like the west coast, from British Columbia down to the Mexican border. I set most of my books somewhere along this corridor. However, this does seem a little plain of an answer for "anywhere in the world." I guess I would chose Antarctica. As a sci-fi writer, I think it would give me a good idea about survival and isolation. Those are common themes in sci-fi, especially when dealing with space travel. Thanks so much for stopping by today, Holly. It was great having you with us! Holly Jennings is a lifelong gamer who has spent innumerable hours playing World of Warcraft and Call of Duty. She is the author of the Arena novels, including Gauntlet and Arena. Find out more about Holly online at www.authorhollyjennings.com.